Have you ever done a sale where you purchased items from a vendor, but didn’t need to ship them to yourself, but instead, directly to the customer? If you have come across this scenario, this is a drop shipment. 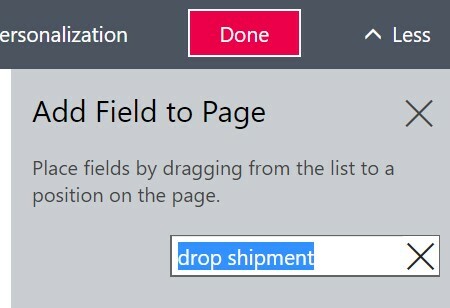 This article will explain how to set up drop shipment in Dynamics 365 Business Central (D365 BC). What is a Drop Shipment? A drop shipment involves a customer initiating an order, where the items are shipped from a vendor directly to the customer, instead of first housing them at a company location or warehouse. Effectively we are purchasing from the vendor and then shipping directly to the customer based on the customer order. With a sales order created, the user can indicate drop shipment for each item selected, if more than one item should be shipped. 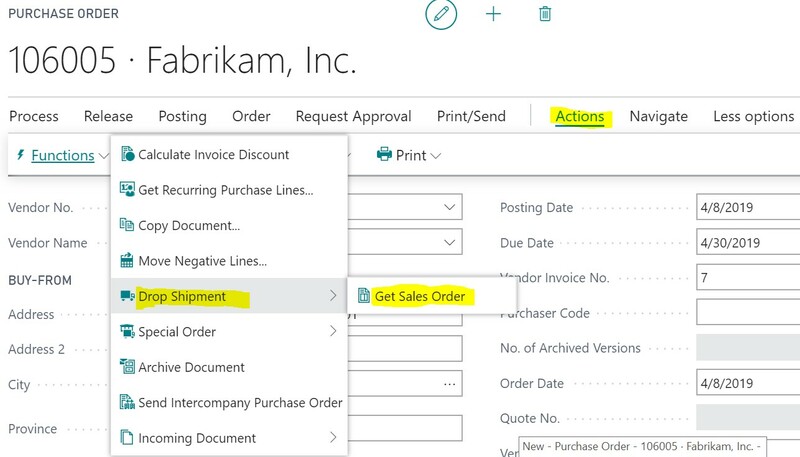 Now that the sales order is created, create a purchase order that will be linked to the sales order that the user can then ship and invoice. To do so, first create a purchase order to link. Once a vendor is selected on the purchase order, change the shipping address to the customer address by selecting the customer from the sales order, under the shipping and payment fast tab, as the items are not being held in inventory and will be shipped directly to the customer. Now that the sales order and purchase order are linked, shipping on the purchase order will result in the sales order also receiving, and vice versa. Shipping or receiving on either order is fine. The purchase order must first be invoiced before the sales order. Once the orders are invoiced in the correct order, the drop shipment process is complete, and the items will be shipped from the vendor location directly for receipt by the customer. 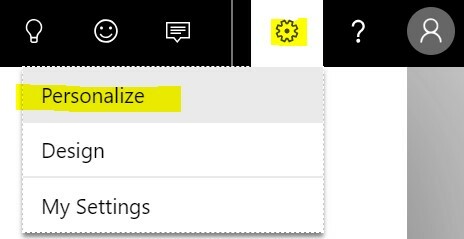 If you have any questions about the Drop Shipment in Dynamics 365 Business Central, please contact us!